As the anticipation of gathering with friends and family, strengthening bonds and celebrating togetherness grows strong with the approaching of the holy month, New World Petaling Jaya Hotel takes the pleasures of dining, gathering and celebrating to a whole new level with a tasteful take on community dining with its lively market-style set-up at Pasar Baru. All set to delight guests looking to break fast or just to gather and celebrate, the hotel’s Executive Chef – Alexander Chong, together with his master chefs have skilfully put together a sumptuous buffet spread which feature over 100 mouth-watering dishes of local and traditional Malaysian delicacies, promising an exceptional dining experience for all. Start your journey with a selection of freshly imported seafood such as imported yabby, bamboo clams and succulent crabs and prawns. Move along your culinary exploration with traditionally prepared Malay dishes from the main buffet counter, including Pasar Baru’s signature made-to-order beef and chicken satay, freshly grilled seafood, and traditional ‘bubur lambuk’ – just like how mum does it, among other crowd pleasers. Those looking for lighter and healthier options can toss up their own ulam-ulam (mixed viands) or pick from a variety of ready-made salads on offer. 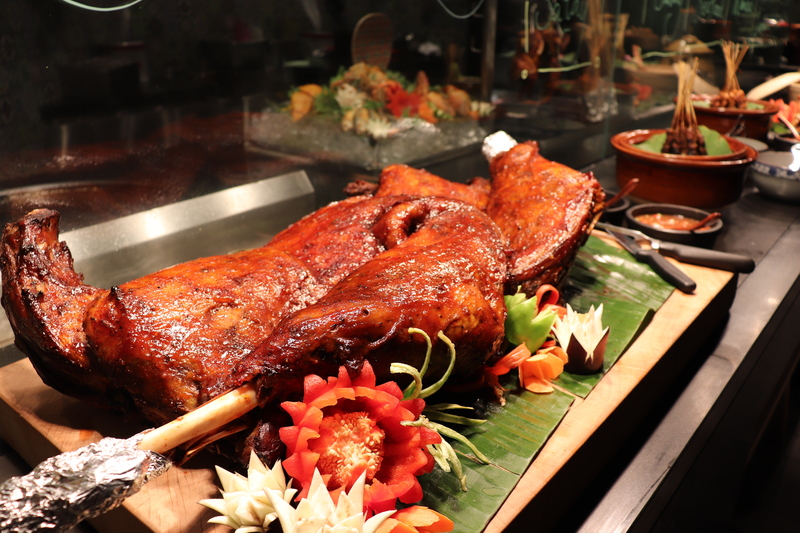 At the heart of it all, indulge in Pasar Baru’s majestically roasted lamb, succulent and crispy to the bite accompanied with home-made sauces for a taste of indulgence. End your feast on a high note, with a variety of delicious confections all beautifully plated at the dessert counter. Choose from sago gula Melaka, blueberry cheese tarts, a selection of home-made Malay kuih, or make your own concoction of sweet treats with our soft-serve ice-cream machine. To add to the merriment of the occasion, guests can get up close and personal with the chefs at the various live-action stations and watch first-hand as they prepare and serve delightful fare, especially the enticing noodle and lok-lok station that is synonymous with hawker-style setting. The “Medan Kampung” buffet is available from 17 May – 14 June 2018, 6.30pm to 10.30pm and is priced at RM88 nett per adult and RM44 nett for children aged 12 years and senior citizens aged 60 years and above. For bigger groups, Corporate Festive Packages are available from RM148 nett per person, with a minimum booking of 200 persons required. Find out more or proceed for your reservations by contacting (603) 7682 0000 or marketing.petalingjaya@newworldhotels.com.